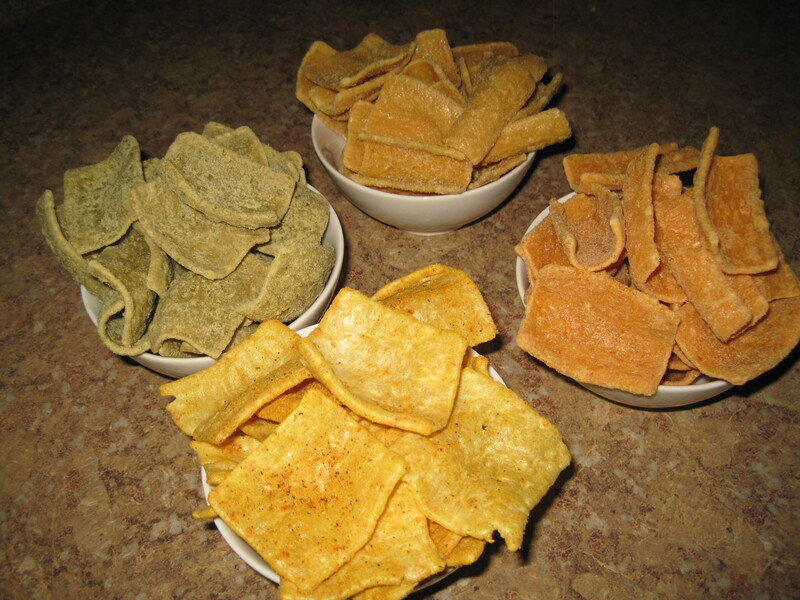 I agreed to taste-test and review new Wicked Crisps manufactured by veteran-owned KLB Enterprises in Greensboro, NC. I resisted opening the four colorful bags until I had time to give them my full attention. Writing deadlines are funny things. They demand we focus on the stories we are telling, yet they also encourage us to walk away periodically so we can remain focused. That’s where Wicked Crisps come in. I was writing about insurance and needed a break from that serious business. So I walked away from the computer and filled four small bowls with the recommended serving size of each of the four test flavors of Wicked Crisps: Spinach Parmesan, Cheesy Cheese Pizza, Red Curry Hummus, and Sweet Potato Soufflé. Each 1 oz. serving delivers about 120 calories and about 22 g of carbs, but the package clearly boasts I was about to get “deliciously deceptive nutrition” too. Armed with a caffeine-packed iced tea, I was ready for my writing deadline enhancer. The crispy treats hit the high notes of super crunch and salt – with the exception of the Sweet Potato Soufflé chip that cranked up sweeter notes. And while I chomped on my first Cheesy Cheese handful, fully expecting to want to eat the whole bag, I instead found myself full after the suggested serving size of 21 chips. That NEVER happens with Fritos! Wicked Crisps are certified gluten free, made with all non-GMO ingredients, and free of meat (but not dairy). The compound mixtures contain a host of flours, starches, fibers, oils, spices, salt and sugars. While filling and generally tasty, the promised nutrition was hard to pin down. Was that a reference to the 12% RDA of Calcium in three of the four varieties? 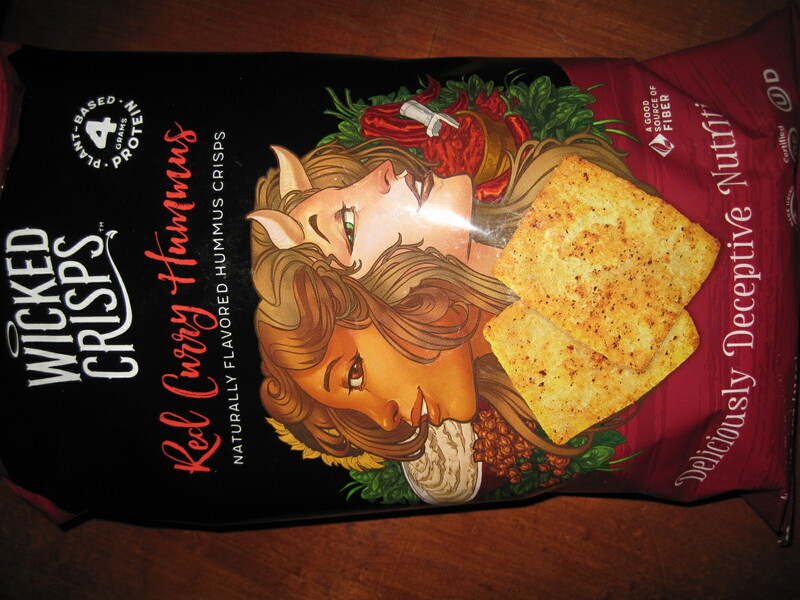 Or was it the 11% RDA of Iron, 4 grams of protein, and 3 grams of dietary fiber in the Red Curry Hummus? Perhaps it’s also a reference to the mere 3 grams of total fat per serving – with no Saturated or Trans-fat. Compared to Original Fritos, at 160 calories and 10 grams of fat (including 1.5 grams of Saturated fat) per 1 oz. serving, Wicked Crisps are a clear winner. In order of my taste preference, I suggest the spicy curry hints of the Red Curry Hummus first, followed by the subtle Cheesy Cheese Pizza and Spinach Parmesan, and finally the dulcet tones of Sweet Potato Soufflé. Julia Celeste is owner/host of Food Chick Tours in San Antonio, Texas. A journalist, food enthusiast and traveler, The Food Chick enjoys all facets of the culinary world. Book her fun, filling, fantastic food adventures at www.foodchicktours.com. Great artwork on the Wicked Crisps bags!